A young woman named Anjali committed suicide by jumping in front of Delhi Metro. The incident happened on Sunday at 6:10 pm at Yamuna Bank Metro Station. The young woman boarded the train at Mandi House and was heading towards Gaziabad with her family. According to reports, the girl’s wedding was fixed in Delhi. Her family which was in Allahabad came down to Delhi to meet with the groom’s family. But later the family denied to go ahead with the weeding. The girl couldn’t take the rejection of her family and allegedly committed suicide. 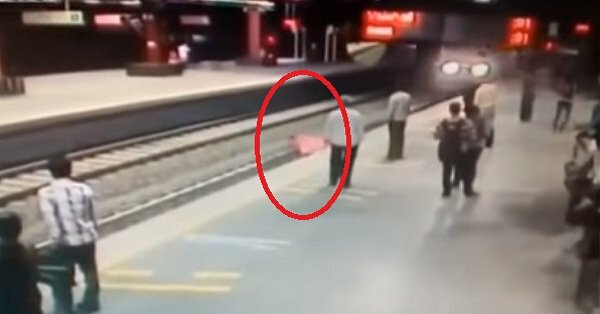 The girl was in her mid-20s and was wandering the at the metro station for more than 10 minutes before jumping in front of the train. When the train stopped, the girl was found dead and her body was taken out from under the train. Police found a mobile phone, a metro card and purse containing 40 rupees on the dead body.